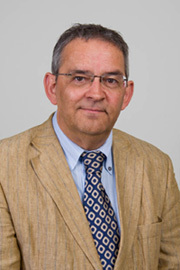 Winfried Keers is a business administration graduate (Nyenrode, The Netherlands) with over twenty years of management experience in medium-sized businesses. In his management positions Winfried has become very competent in improvement processes. Processes that lead to an organisation performing better, with more efficiency, quality and effectiveness. His way of doing things can be described as: analytical, creative, pragmatic, transparent and purposeful. Complex issues are translated into a project approached solution. With plenty experience in managing people and processes he gives new impulses to the activities of an organisation. Impulses that will lead to breaking new grounds, for example in the organisation of the company with people and means, in the organisation of the business processes, the development of products and services, or in the positioning of a company in its marketplace. As a marketing director with an IT-company he already at the end of the eighties gave the initiative for the development of systems that we now call CRM-systems. At request by the largest publisher of textbooks in The Netherlands Wolters-Noordhoff in 1992 he wrote the book “marketing information systems”, which has been used at Schools of Economics for many years. In the management positions Winfried has filled, he has often been responsible for the selection or development and implementation of CRM-systems. As a lecturer and examinator for NCOI, Scheidegger, Schoevers and Luzac he is active in the disciplines of: management and organization; marketing and strategy; project management; management skills; sales- and account management.